Paul Marcus Wines and the Cabinet of Curiosities. The glorious cabinet of artifacts pictured above is part of the collection at the Naturkunden Museum in Berlin. 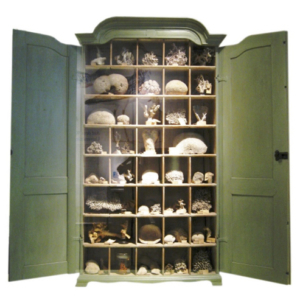 Curated in the early part of the 18th century, the cabinet showcases coral, sea sponges, and an assortment of shells – small wonders of the natural world. Curiosity, or curio cabinets have been around for hundreds of years. During the 16th and 17th centuries, curio cabinets often displayed ambitious collections of naturalia (natural artifacts), artefacta (ancient objects) and scientifica (instruments of science). These cabinets (and in some cases – entire rooms or Wunderkammer) often served as mementos of the owner-curator’s travels and life experiences. Further examination and reflection of each object assembled in a particular cabinet was meant to inspire wonder, enjoyment and further exploration. In the spirit of wonder, enjoyment and exploration, Paul Marcus Wines is very proud to share with you our very own (cold) curio cabinet! Ensconced on our back wall, between our Barbaresco and Germany/Austria sections, you’ll find an eclectic collection of white, sparkling and rose wines from across the globe. And, if you look closely, you’ll even spot an artisanal beer or cider! We constantly change up and add new selections, empowering you to take a new wine adventure each time you explore our cold cabinet. And for those of you who prefer to revisit a wine several times before moving onto a new adventure, we’ve kept the bottom shelf of the cabinet stocked with a range of reliable, go-to wines. These customer favorites will be around for a spell – or at least until we run out. We hope that our curio cold cabinet inspires you to further explore and enjoy the world of wine. And of course, we are always available to make a recommendation, or to answer any questions that you might have. https://www.paulmarcuswines.com/wp-content/uploads/2019/04/curio_cabinet2.jpg 339 339 Mulan Chan-Randel https://www.paulmarcuswines.com/wp-content/uploads/2018/10/Logo_Paul_Marcus_Wines2018.jpg Mulan Chan-Randel2019-04-08 06:18:422019-04-08 18:47:53Paul Marcus Wines and the Cabinet of Curiosities. As we enjoy the new spring season, and the renewal of nature, how appropriate it is that on April 22 we celebrate Earth Day. This international day of recognition and appreciation for our planet was first celebrated in 1970. Founded by Senator Gaylord Nelson, Earth Day activities promoted ecology and respect for all life on our planet. Fast forward almost fifty years, and Earth Day is celebrated in over 193 countries. What is the best way to celebrate and appreciate the planet earth on Earth Day? Go surfing, sailing, or swimming? Perhaps take in a nature walk in a city park or country trail. And along the way pick up some litter that happens to dot the landscape. The possibilities are endless. In celebration of Earth Day, PMW wishes to acknowledge Horse & Plow, a human scale winery created by Suzanne Hagins & Chris Condos in 2008. This husband and wife team work with a small community of growers along California’s North Coast, Sonoma and Mendocino counties who employ only certified organic or biodynamic practices in their vineyards. 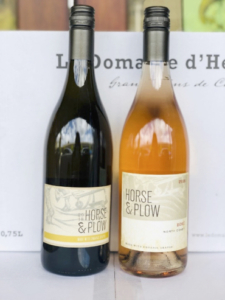 In the winery, Horse & Plow wines are made naturally, with no synthetic nutrients or additions, and or GMOs. All of the wines are vegan and contain low levels of sulfites. 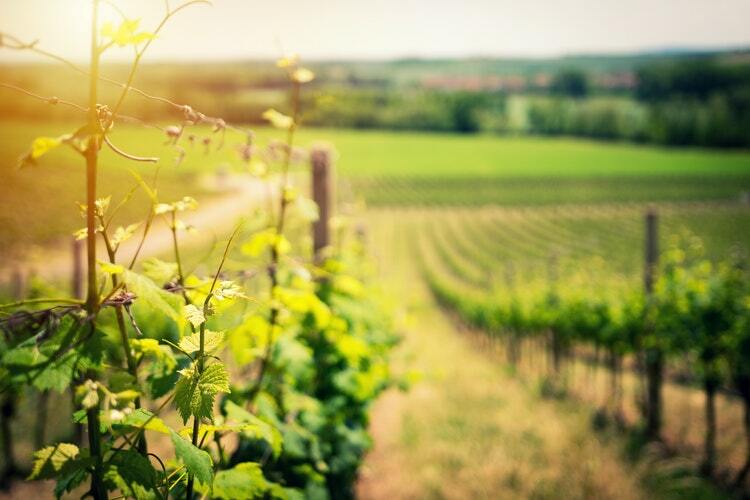 Horse & Plow is committed to making wines that are balanced, food-friendly, and that respect and care for the eco-systems from where they are produced. In short, they appreciate and honor our mother earth 365 days each year. The 2018 Horse & Plow Rose is composed of 100% Carignan, which comes from some of the oldest vines in the state! Vibrant and dry, with nuances of wild strawberry, beet and a super crisp finish! The 2018 Horse & Plow Draft Horse White is an eclectic blend of white varieties (we think Riesling, Pinot Blanc predominantly, but this is as yet to be confirmed.) But seriously, no matter as the sum here is greater than its parts, and might we add, delicious! Crisp, and bright, with nuances of quince, pear and tangerine. Say hello to Spring! With the arrival of spring, Paul Marcus Wines is ready to showcase our growing rosé selection! What does a lighter pink wine signify? Will a darker hued rose taste sweet? Making a fruity but balanced pink wine is no small task. In fact, many winemakers confide that vinifying rosé wine can be more challenging than red or white wine production. After harvest, red grapes undergo skin contact for a short period of time before being pressed off. How much time exactly? Anywhere from almost immediately to 16 hours or so. During this period, a limited amount of color is extracted from the skins, often resulting in a lightly colored juice. 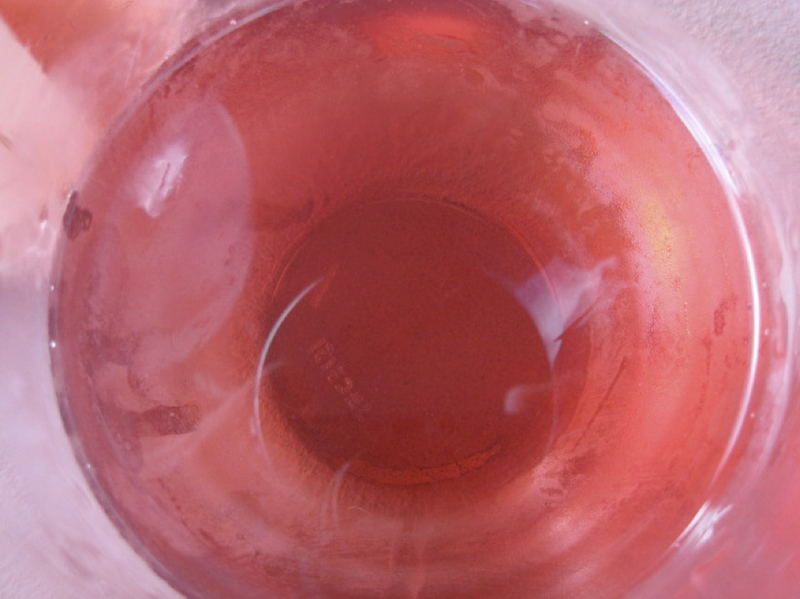 A very pale and barely pink wine is sometimes referred to as a Vin Gris. If the grapes are left on their skins a bit longer, a darker hue will result. A rosé produced via the direct press method is pictured above. The process saignée or bleeding off juice, was originally employed as a method of concentrating wine must before fermentation in order to produce a more robust red. Red grapes, either crushed or uncrushed but broken (preferable), are chilled down and macerate, generally between 1-4 days. The juice is then be drawn off or “bled” and without being pressed. 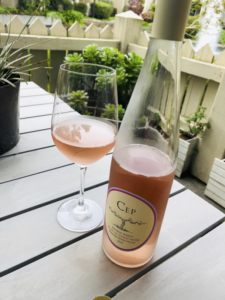 This juice is then often fermented at cooler temperatures, in a similar manner to that of a white wine the finished rosé is generally a more robust and deeply colored wine. A rosé produced via the saignée method is pictured above. Note: the finished color of a rose does not indicate a sweetness level. If all the sugar has been converted to alcohol during the fermentation process, the resulting wine will be a dry one, regardless of the color. After fermentation is complete, white and red wines (usually around 5%) are blended together in order to achieve a desired level of pink or blush tint. The blending method is rarely employed in making still rosé wines and is illegal in the EU. 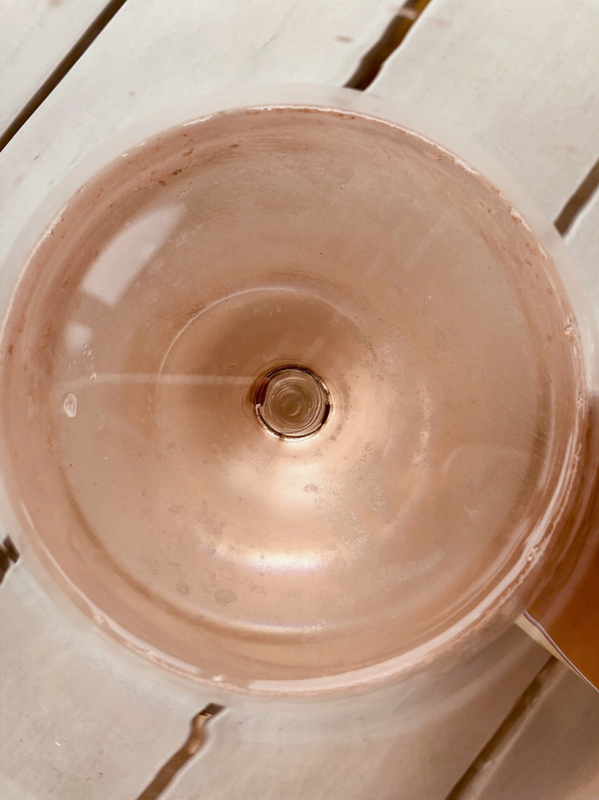 However, the blended method is commonly used in the production of high-quality rosé Champagne as well as high quality sparkling wines around the world. The Champagne house Billecart-Salmon produces their iconic rosé Champagne in this manner. With so many rosé wines, and so little time, it’s time to dive in and get started! 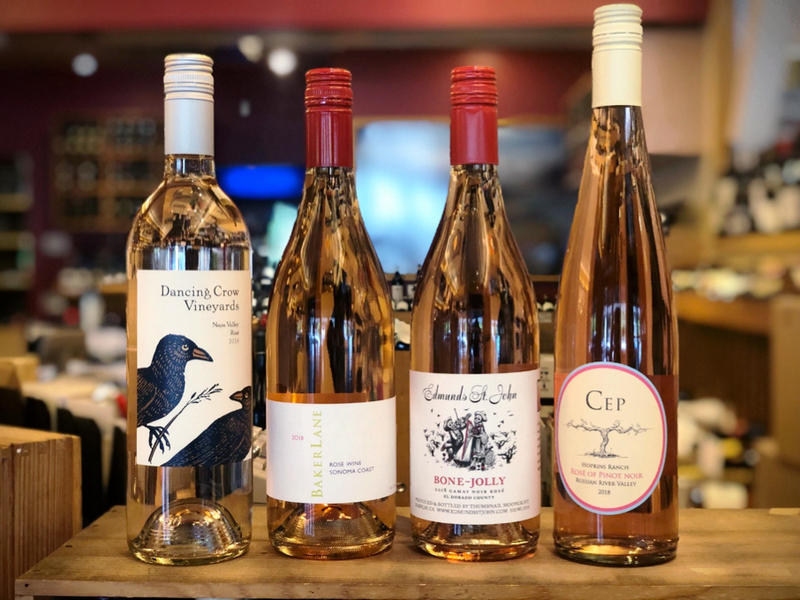 These 2018 rosé wines from our local winery friends are now available at Paul Marcus wines and ready for you to take home. Expect to see a steady parade of pink over the next several months, from wine regions across the globe, and produced via the 3 methods of rose production described above. As you may know, we’re huge Rosé fanatics, and we can’t stop talking about Pink! In our last newsletter we mentioned that a special project was in the works here at Paul Marcus Wines. 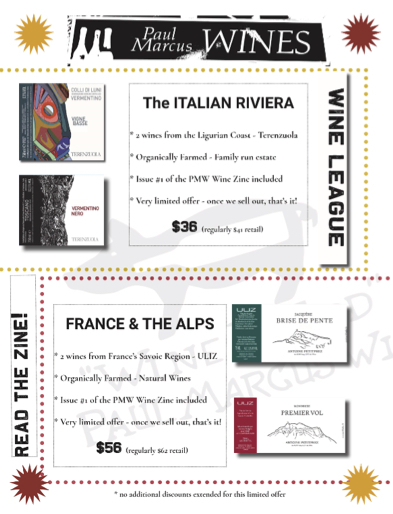 News update: We are very pleased to announce that the PMW Wine League packs are now in the shop and ready to roll! Please note: Only a very limited number of these special bundles are available. We currently have 2 different selections. The first tier includes a white and red from Terenzuola, a family owned winery located a stone’s throw from the Ligurian coast. Our second-tier highlights 2 Savoie selections from Uliz, and rising star winemaker Antoine Petitprez. The nifty little flyer above explains the details. Also, included with your selection is our inaugural issue of the Paul Marcus Wine Zine! Inside this issue, you’ll find additional information regarding the wineries featured with each pack. Also, recipe and cheese pairing suggestions for each wine. And in celebration of PMW’s 32 years as part of the Rockridge community, we’re revisiting the history of how Paul Marcus Wines came to be. The PMW wine journey has been a great trip thus far, and we look forward to many more adventures! 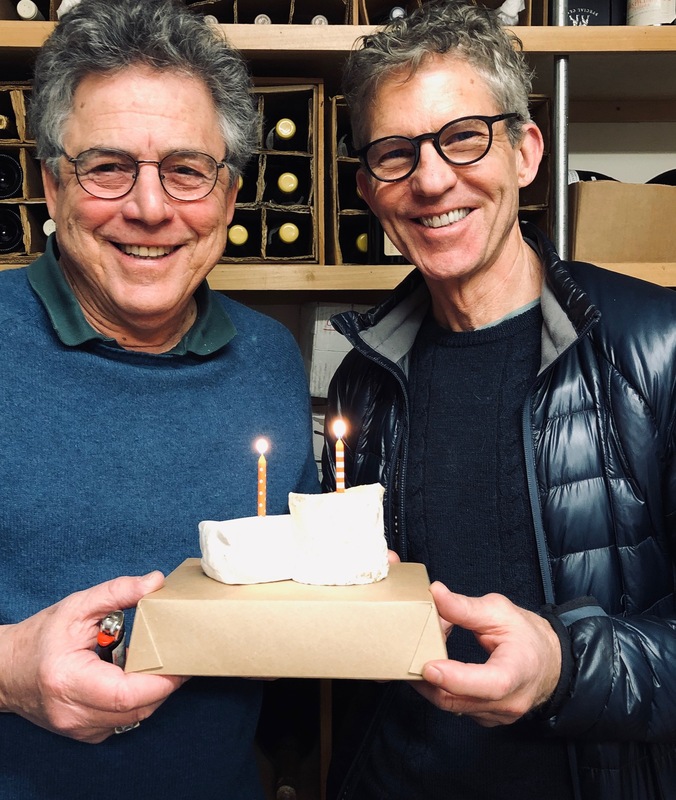 Happy Birthday Paul Marcus Wines! Time sure does fly when you’re having fun! It’s hard to believe that on March 14th, 1987 Paul Marcus Wines first opened its doors to a thirsty Rockridge neighborhood. 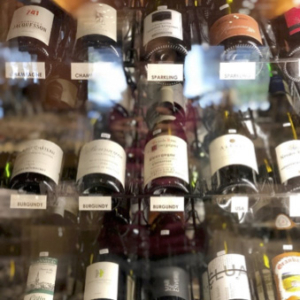 At the time, our spirited leader, Paul Marcus opened this dynamic shop full of vinous goodies to share his enthusiasm for wine, and the European concept that wine is an integral part of a meal. 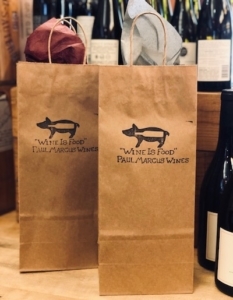 Fast forward to 2019, the “wine is food” motto rings true for us at Paul Marcus Wines more than ever. So, whether you are looking for a new wine to enjoy with tonight’s take out, or an upcoming special event, we are here to help you! 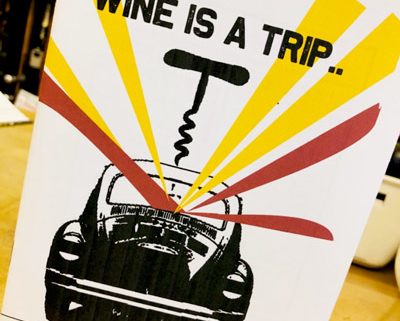 And now for breaking news: In the spirit of turning 32 years young, we at Paul Marcus Wines are rolling out on a special and super fun project. In the next couple of weeks, we will introduce two sets of exciting wines to share with you. The wines in each set of two bottles each will showcase a specific wine region, made by dedicated and talented vignerons. Of course, it goes without saying that these wines pair beautifully with food! 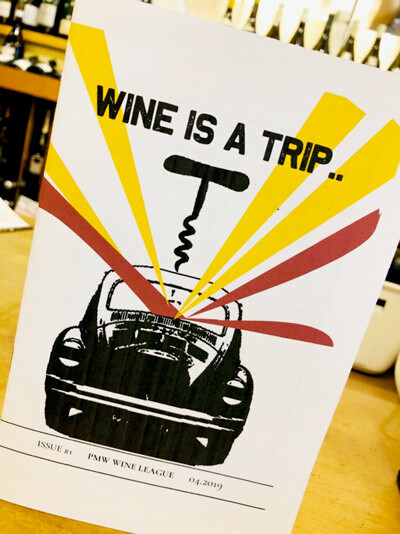 Along with the selection of wines, you’ll find a nifty little zine, to peruse while you enjoy the accompanying selections. Inside we’ll include information regarding the featured wines, along with a bit of backstory as to why we find them so fantastic. We will also share a simple recipe that can be whipped up on the fly, as well as other fun, inspirational content. In this first edition we’ll also revisit the history of Paul Marcus Wines, and learn more about Paul’s early days starting and running his bustling, pocket-sized wine shop. These wine sets will be very limited, and available only at Paul Marcus Wines. We’ll be sure to let you know when they are good to go. Please stay tuned, and we’ll see you at the shop! https://www.paulmarcuswines.com/wp-content/uploads/2019/03/pmw_bday.jpg 1562 1320 Mulan Chan-Randel https://www.paulmarcuswines.com/wp-content/uploads/2018/10/Logo_Paul_Marcus_Wines2018.jpg Mulan Chan-Randel2019-03-20 06:00:492019-04-08 18:47:54Happy Birthday Paul Marcus Wines! Sake does not fight with food! As many of our customers already know, wines that pair with food are our specialty here at Paul Marcus Wines. However, our hearts and palates are not limited to wine. Enter, sake, the national beverage of Japan, and a very food friendly beverage to boot. Due in part to its subtle flavors, lower acidity and near absence of tannin, sake does not run the risk of overpowering many dishes. 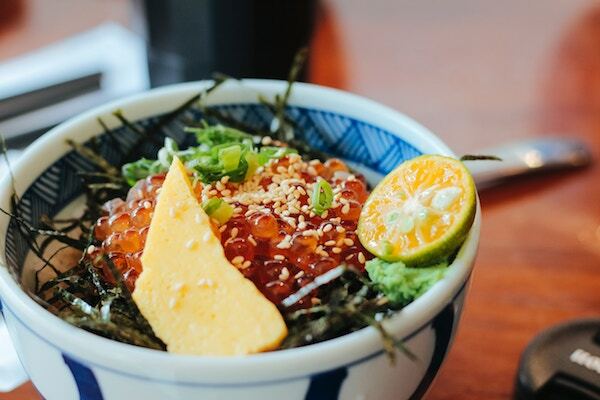 In addition to traditional Japanese cuisine, the perfect sake can pair with a wide variety of fare, including grilled meats, fish, roasted vegetables, fried foods and many appetizers. There are even off dry – delicately sweet sake that pair well with spicy dishes. 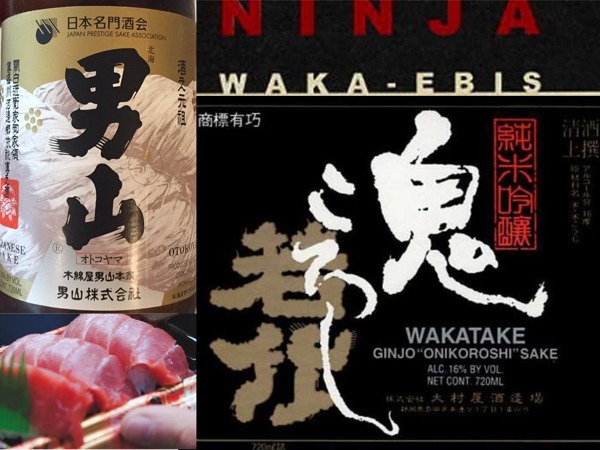 Want to know more about the sake or need a pairing suggestion? Then please stop by Paul Marcus Wines and we’ll share with you our newly arrived selection from Japan Prestige Sake. In the meantime, we’ve put together a short list, if you will, of commonly asked questions regarding this nuanced and versatile beverage. Please read on! Simply stated, Sake is an alcoholic beverage produced from polished white rice grains. Along with this base material, water and a mold laden rice known as koji are combined in order to transform the rice kernels into a sugary liquid. The addition of yeast then converts this liquid via the process of fermentation into the alcoholic beverage known as Sake. How is sake different from wine, distilled spirits and beer? Sake is an alcoholic beverage made from rice. Wine is an alcoholic beverage made from fruit, and most often, grapes. Sake (like wine) undergoes a fermentation via the introduction of yeast in order to transform sugars into an alcoholic beverage. Distilled spirits start with a fermented product containing alcohol, which is then most often heated in order to capture, cool and condense the vapors that are released during heating process. This process is known as distillation. Sake, like beer, is made from starchy, solid grains, however the process by which this starch is converted to sugar such that fermentation can begin is very different. In beer production, unpolished grains germinate, which enable them to convert densely stored starches into fermentable sugars. This process is known as malting. As sake rice kernels are polished beforehand, they do not contain the necessary components (the germ), to undergo the malting process. For this reason, a mold known as koji must be added to the steamed rice in order to convert the rice starch into fermentable sugars. Sake generally has an alcohol level of between 15-17%, which in most instances is higher than most wines ands beer. 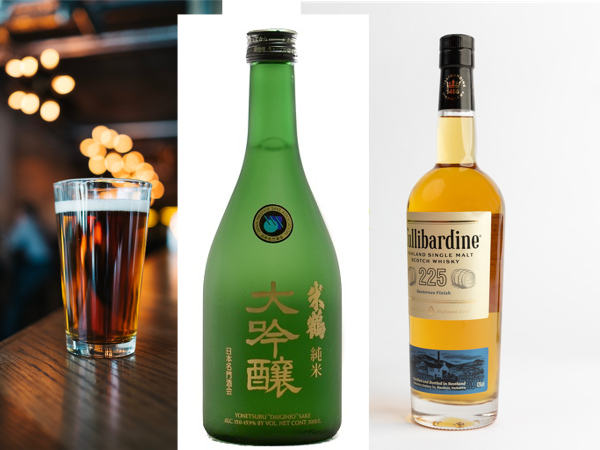 However, sake is much lower in alcohol than distilled spirits like vodka, gin, tequila or whisky, which are generally bottled at or around 40% abv. How do I know if a sake is sweet or dry? The S.M.V. (Sake Meter Value) is the gauge for measuring the dryness or sweetness of the sake. The higher the S.M.V., the drier the sake. The SMV range extends from -99 for very sweet sake to 10+ for some of the driest. The median value of S.M.V. is +3, which would for most drinkers register as a dry, but plush example of sake. However, like wine, there are a myriad of components (acidity, pH, mouthfeel) that determine if a sake tastes sweet or dry to a sake particular drinker. What one person might find very sweet and lush, another might quite dry. What is the best way to serve and drink sake? The best way to enjoy sake is in a neutral vessel, preferably made of glass or glazed ceramic. The traditional O-choko works very well. 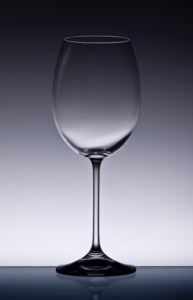 A Wine glass is also an excellent option, especially for sake that is served chilled or at room temperature. You’ll want to avoid any vessel that has a porous texture, like wood, that could impart additional flavors to the sake. Once open, how long does a bottle of sake last? An open bottle of sake can last anywhere from 1-2 weeks if refrigerated properly. However, during this period, the sake will begin to lose its subtle nuances and flavors. As such, the ideal consumption period for most open sake is over the course of one to several days. 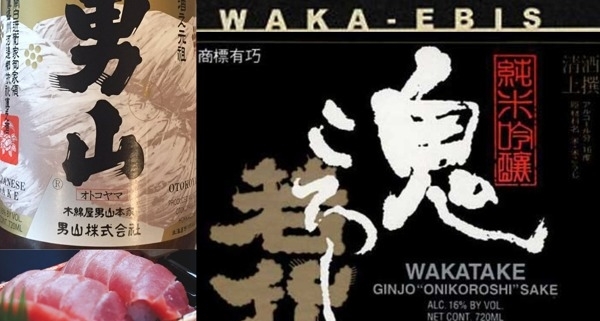 Is a chilled sake always higher quality than a sake that is served warm? Not necessarily. Sake that are more delicate and fruit driven are often served slightly chilled in order to enhance the melon, pear and fresh nuances of the beverage. On the other hand, full bodied sake that display more savory or earthy components often show best served at room temperature or even slightly warm. https://www.paulmarcuswines.com/wp-content/uploads/2019/03/sake_banner.jpg 450 600 Mulan Chan-Randel https://www.paulmarcuswines.com/wp-content/uploads/2018/10/Logo_Paul_Marcus_Wines2018.jpg Mulan Chan-Randel2019-03-20 06:00:262019-04-08 18:47:54Now Selling Sake! Wherein the folks at Paul Marcus Wines get to the bottom of our most FAQs in the shop. Is my bottle of wine corked? You show up to a friend’s party with two bottles of your favorite Côtes du Rhone. The first bottle tastes great! Fresh, vibrant and juicy…just as you remembered it. However, the second bottle smells a bit like wet cardboard, and doesn’t have nearly the same fruit nuances and charm as your first bottle. Is your bottle of wine corked? I. What exactly is a corked wine? 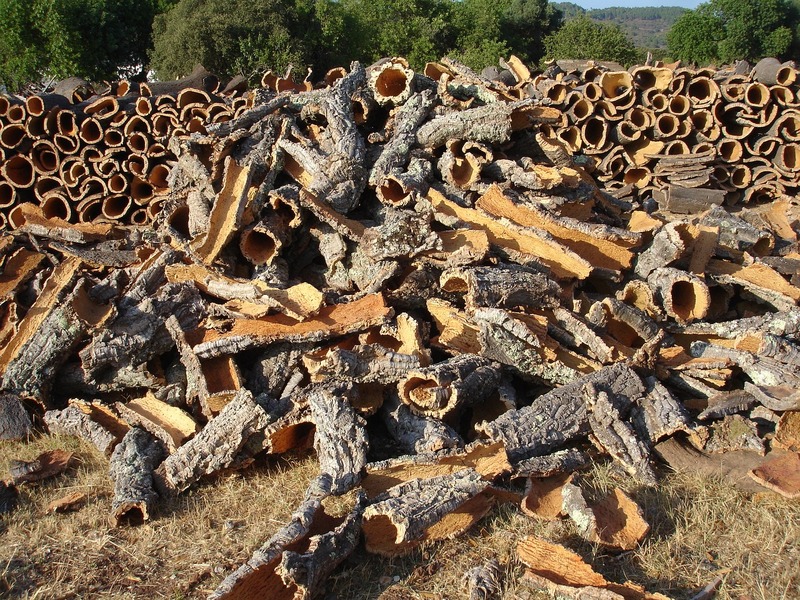 Cork taint is a wine fault that is caused by certain molds sometimes present in the bark of cork trees. These molds can and do live in cork after it’s been harvested, processed and shipped out in the form of finished corks. For most people these molds are undetectable, until they co-mingle with chlorine or chlorophenol compounds at any time during the winemaking process. When these cork bark molds and chlorine interact, an aromatically unpleasant compound derivative 2,4,6-Trichloroanisole can develop. 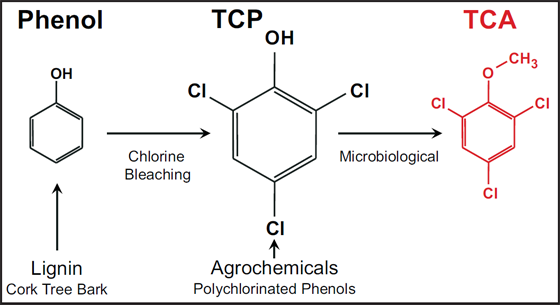 This compound is more commonly known as TCA. As you can imagine, the possibilities for the formation of TCA are numerous. 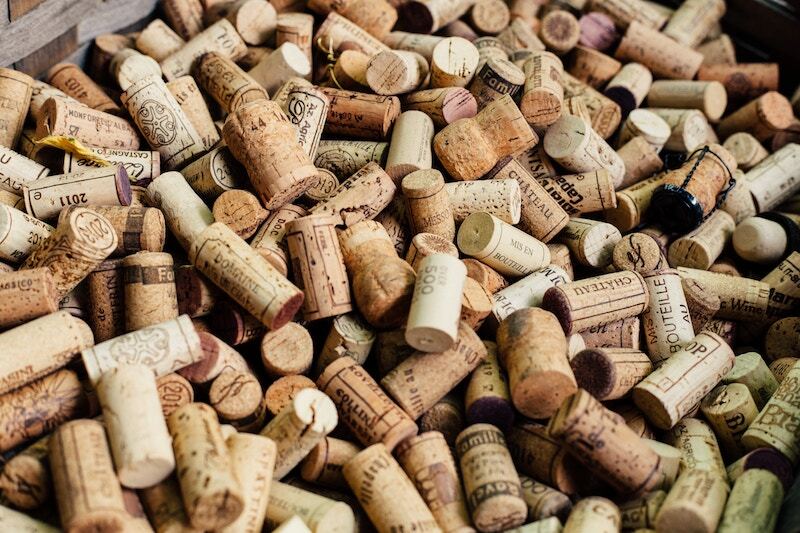 For instance, cork bark undergoes sterilization in the production of corks, and bottles need to be sanitized before being used. Of course, chlorine is found in our water supply, and many cleaning agents. For this reason, wineries are vigilant when it comes to their water source and how they sanitize not only bottles but all winery equipment, and often eschew such chlorine detergents in favor of peroxide based cleaners. II. What does a corked wine smell like? While small amounts of TCA a wine can result in a very subtle loss of aromatic fruit and vibrancy, higher levels of TCA can impart distinctive and downright unpleasant aromas. 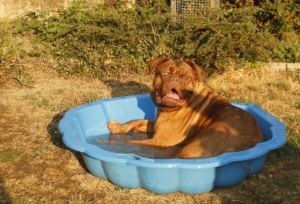 Descriptions of a corked wine include: moldy cardboard, old sofa, swamp, wet dog or stale fruit flavors. III. What is not an indicator of a corked wine? An old, or crumbly cork. The physical appearance of a cork doesn’t indicate that a bottle wine is contaminated with TCA. Older bottles with corks that look less than pristine, often do a fantastic job protecting wine over the years, and with no evidence of cork taint. A pushed cork, or one that rises above the level of the bottle most often indicates that the wine was exposed to higher temperatures at some time in the past, or that the bottle was overfilled. This condition is not necessarily an indicator that a wine is corked. Bottle seepage or capsule corrosion. Wine seepage or a corroded capsule are unrelated to TCA contamination and do not indicate that a wine is corked. Mold on the cork. Frequently bottles of wine, especially older bottles that have been stored in humid conditions may develop some sort of mold or fungi around the wine capsule or cork. These fungi are not necessarily related to molds that cause TCA. IV. What should I do if I think that I have a bottle of corked wine? If, after careful evaluation you’ve concluded that TCA might be the culprit, here’s what you’ll want to do. Don’t pour out the bottle of wine. Re-insert the cork and save as much of the wine as possible. A reputable wine shop will exchange a bottle of wine that is contaminated with TCA. However, they will want evaluate the bottle in person before making a definitive judgement. Here at Paul Marcus Wines we love to celebrate any and all occasions involving food and wine. Which is why we are so psyched about March 20th. Why? Because it’s International Francophonie Day! This day celebrates the approximately 220 million Francophones, plus the additional 72 million Francophiles throughout the world who are learning French. International Francophonie Day was in 1988, and celebrates the signing of the Niamey Convention in Niger on 20 March 1970. The convention established the Agence de Coopération Culturelle et Technique, the precursor to the International Organization of La Francophonie, which represents countries and regions throughout the world where French is the lingua franca. Although French speakers come from diverse ethnic, cultural and political backgrounds, all can rejoice in that they are united by the love and commonality of their shared language. Irina Bokova, the former General Director of UNESCO aptly described the honorary day, on the occasion of International Francophonie Day March 20, 2017. So how can we, out here in sunny California, celebrate Francophonie language and culture? How about checking out a French language film? Nouvelle Vague perhaps? Or breaking out that iconic Charles Aznavour record that’s collecting dust in the closet. How about revisiting one of hip hop’s best and brightest, MC Solaar (La 5ème Saison – oh yeah) All this talk of Francophonie is making me hungry. A chunk of chevre on a freshly baked baguette sounds pretty fantastique right about now. And if wine is your thing (and as you are reading this I suspect, yes) how about pulling the cork on a bottle of French wine to celebrate! We at PMW certainly will do so. Incidentally, the wine thing pairs equally well with movies, records, and cheese. Below are two of our current staff favorites that we’d love to share with you. Both wineries are family owned and operated and tout à fait francais. 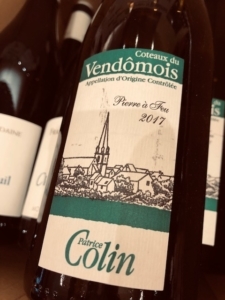 “Pierre a Feu” literally translates to “Rock of Fire” in French- an appropriate name for a wine that proceeds from the flinty soils of the “Coteaux du Vendomois” appellation in the Loire Valley. While this area only received its appellation status in 2001, wine production here can be traced all the way back to the 11th century, and Patrice’s family has been in the business since 1735. All farming is organic and vegan here, with the fruit being vinified in stainless steel to preserve crisp floral and mineral flavors. 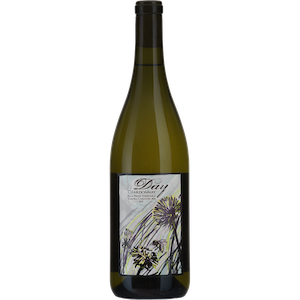 This is a beautiful example of Chenin grown to the north of Vouvray… dry, elegant, and pure. Chevre and other semi-soft cheeses call forth pear and peach fruits, and “Pierre a Feu” is also excellent with fried fish, cilantro, (think Baja-style tacos) or chicken. 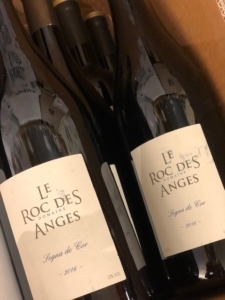 Another wine with an interesting linguistic twist in the title, “Segna de Cor” is actually the name of the producer- which is Roc des Anges, but just spelled backwards! And truly, “Rock of Angels” is the perfect name for this project, as these vines are grown in full view of the majestic Pyrenees mountains. This is breath-taking country can be a bit difficult for vignerons: it is infamous for its arid climate, intense sun, wind, and nutrient-poor soil. However, the cold mountain air does encourage complexity in the grapes, which winemaker Marjorie Gallet has bio-dynamically farmed since 2001. Gallet’s self-proclaimed goal is to chisel out structure and elegance from this challenging terroir, where “concentration is the enemy.” Sample some of her determination in “Segna de Cor”, a GSM blend that sings with aromas of blackcurrant, date, and fig- making it a wonderful pairing with the savory-sweet flavors of Moroccan cuisine. 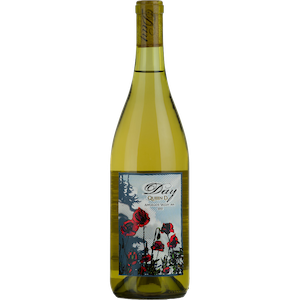 Alternatively, pick up a bottle to bring along with you to a plein air picnic to usher in the spring. The depth of fruit, good acid, and dry finish make it perfect with semi soft cheeses, paté and charcuterie. 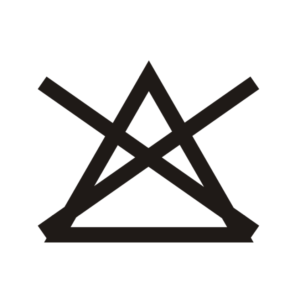 https://www.paulmarcuswines.com/wp-content/uploads/2019/03/francophonie_flag-2.png 533 800 Mulan Chan-Randel https://www.paulmarcuswines.com/wp-content/uploads/2018/10/Logo_Paul_Marcus_Wines2018.jpg Mulan Chan-Randel2019-03-20 06:00:132019-04-08 18:47:55Celebrate International Francophonie Day! What Is A Guided Tasting? In the interest of sharing my passion for the broader world of wine with the people close to me, I decided to have a group of friends over for a guided wine tasting – that is, one in which one person (me in this case) guides the discussion and helps draw out responses from everyone. My goal was to share a bit of my knowledge and to help my friends understand better what exactly they’re getting when they order a bottle of wine in a restaurant or bring one home from a store. And as Mark said in our previous newsletter, “the goal, as in other kinds of parties, is good conversation and good times spent with good friends.” I wanted my tasting to be fun and not to get bogged down in formalities. I had come up with several ideas for tastings, including one that focused on the formal techniques of wine tasting. One evening over dinner, I bounced my ideas off my partner. He’s a valuable resource in this discussion, since he has a good knowledge of wine but doesn’t take it too seriously. His suggestion seemed like the best: a comparison of common California wines and their French counterparts. The idea was to analyze how differences in climate, wine making, and culture can affect what’s in the glass – a conversation that sounded fun to me. 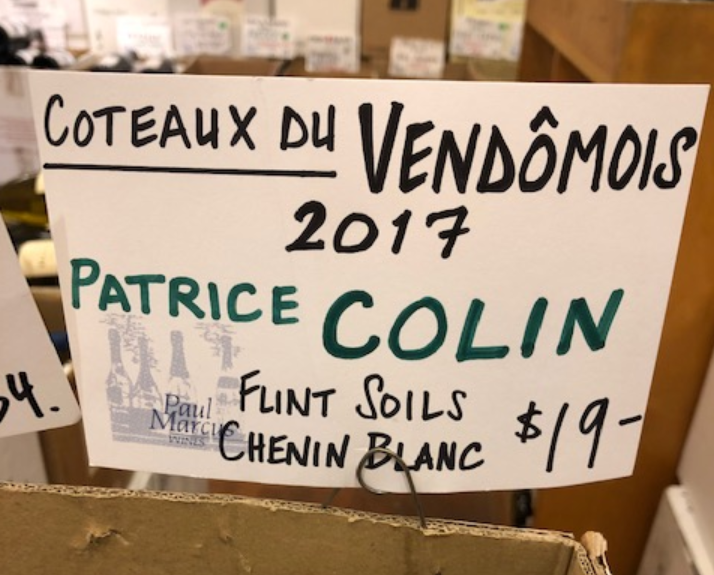 This kind of tasting also would give me a chance to clear up the mysteries of French wine labels and help folks get an idea of just what expect from a particular bottle of French wine. To Blind Taste or Not? With this theme in mind, I decided to make it a formal, blind tasting of four reds and four whites. I chose Pinot Noir and Cabernet Sauvignon for the reds and Sauvignon Blanc and Chardonnay for the whites, with a California and French example of each of the four types. 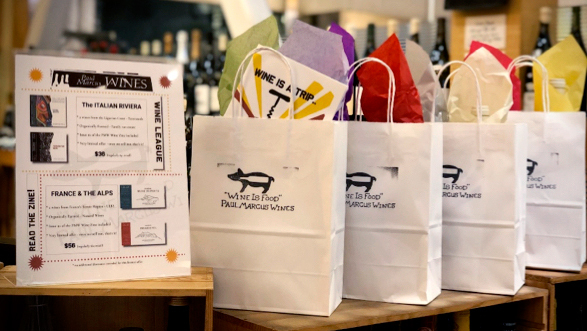 I chose to do the tasting blind (i.e., with the bottles in paper bags to cover up the labels) so that no one would be tempted to jump to conclusions based on any preconceived opinions in favor or against either California or French wines. Having chosen a theme and format, I invited four couples over for an after-dinner wine tasting party. That made the total ten people, an ideal number, and with various prior engagements, the group whittled itself down to eight. I offered to supply all eight wines and to host the party at my house, asking others to bring some snacks to munch on while tasting. (Bread, cheese, and pâté are great to have on the table with a tasting – they help clear the palate and put something in your stomach besides wine.) I also borrowed some glasses from a co-worker. The idea was to do two flights of four wines – first the whites and then the reds. I had the luxury of 64 small wine glasses (8 per person), but it would be possible to do this kind of tasting with 32 (4 per person) or even 16 (2 per person). In the latter case, you’d simply taste the wines in flights of two rather than four. How are these wines similar? How are these wines different? What do I like about each wine? What do I dislike about each wine? Which wine do I prefer, and why? I’ve experienced firsthand that dazed expression in other people when I start using language to describe wines that is routine to me. I wanted to avoid the pressure that people feel to come up with “good” descriptors and instead ask everyone to say in their own words what they thought of the wines. These basic questions provide a framework for discussion while allowing each person to respond to and talk about the wines in an individual way. As my guests arrived, I assembled the wines in the kitchen, opened them, and smelled them to make sure that none of the bottles was corked. I put each of the bottles in a brown bag and wrote a letter on the bag (A through H) so that we’d have a way to refer to the wines as we talked about them. Starting with whites, I poured two Sauvignon Blancs, 2001 Honig from Napa ($12.99) and 1998 Château Reynon Blanc from Bordeaux ($11.99), followed by two Chardonnays, 2000 Handley Anderson Valley from Mendocino ($15) and 2001 Trénel St.-Véran from Burgundy ($12.99). We tasted the wines first in pairs and then together as a group of four. After a few minutes of quietly sampling the wines, we had a short discussion and then ranked each pair according to personal preference. In a tasting where all of the wines are a single varietal or style, it is common to taste all the wines and rank them from 1 to 8, according to preference or perceived quality. Since the different styles of whites and reds in this tasting are hard to compare with one another, I asked each person to pick a favorite from each pair. It’s no surprise that opinions differed wildly from person to person. I was expecting the more familiar California wines to be favored, but that was not universally the case. The Honig Sauvignon Blanc was preferred over the Château Reynon Bordeaux Blanc, but both the Handley Chardonnay and Trénel white Burgundy had its share of admirers. For the reds, we first tasted two Pinot Noirs: 2001 Elk Cove Willamette Valley from Oregon ($18) and Heresztyn Bourgogne Rouge from Burgundy ($16). (I could’ve substituted a California Pinot Noir for the Oregon one, but the Elk Cove seemed like the best West Coast Pinot from the store in the price range.) Then we finished with two Bordeaux style blends (wines based on Cabernet Sauvignon and Merlot): 2000 Surh Luchtel Mosaique ($24) and 2000 Château Teynac St. Julien from Bordeaux ($19). The Oregon Pinot Noir was definitely the favorite, but the Bordeaux stood its own against its California counterpart. Tasting a group of wines like this is a great opportunity for friends (new and old) to get together, with a built-in topic of conversation. Of course, after a few glasses of wine, people’s spirits are lifted and the conversation can go many directions. I selected a special bottle of wine from my cellar to enjoy after the main tasting – something a bit more complex than the relatively simple, inexpensive wines we’d tasted formally. It was a nice reminder that wine offers us all the opportunity to get together and enjoy our friends. Editor’s note: This article is the second in a series on how to organize and host wine parties. The first article, in our March 2003 newsletter, discussed the types of wine parties and the basic procedures and considerations for any type. If you’d like to host a wine tasting similar to the one that Paul C. did – or something completely different – come talk to us. We’re eager to help you select the wines and provide pointers to help ensure that the party goes off well. What will you be drinking this National Drink Wine Day? (Or as some others may refer to it as, “Presidents Day“). Whether you’re celebrating the day off with family or at home by yourself, we’ve selected a few wines that should make your day off a little more exciting. For this special holiday, we are showcasing some President’s “Day” Wines. 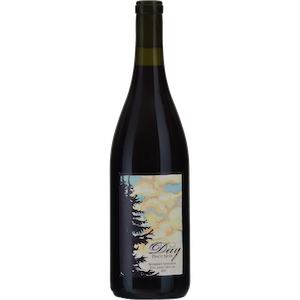 Day Wines is led by Brianne Day, a natural wine producer who seeks to capture the essence of “place” in Oregon’s Willamette Valley. And to keep up with all the National Drink Wine Day news, make sure to follow the National Wine Day facebook page for more content.